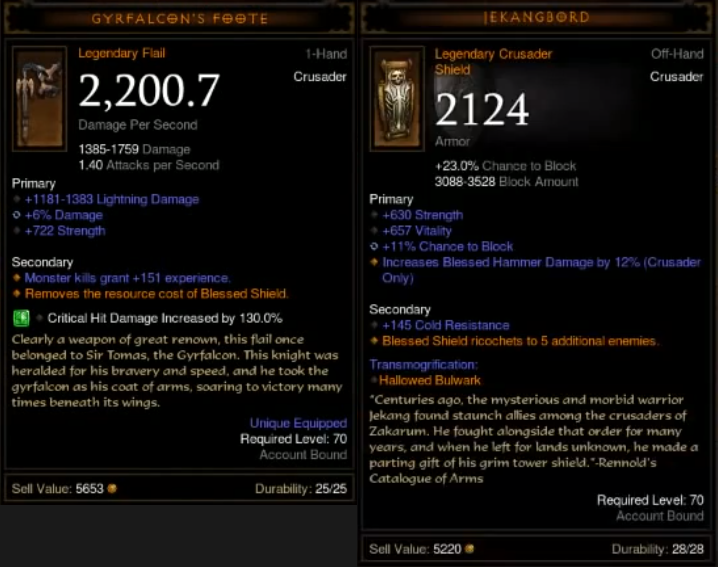 Yesterday I found a nice Crusader build witch with the right gear allows you to easily farm above Torment 2 in Diablo 3 Reaper of Souls. Please note that this build is viable only if you have the legendary weapon called Gyrfalcon's Foote and the legendary shield called Jekangbord. The main reason to have these two items equipped is that the weapon makes your Blessed Shield skill to cost 0 wrath and the shield make's your skill to jump from up to five enemies. 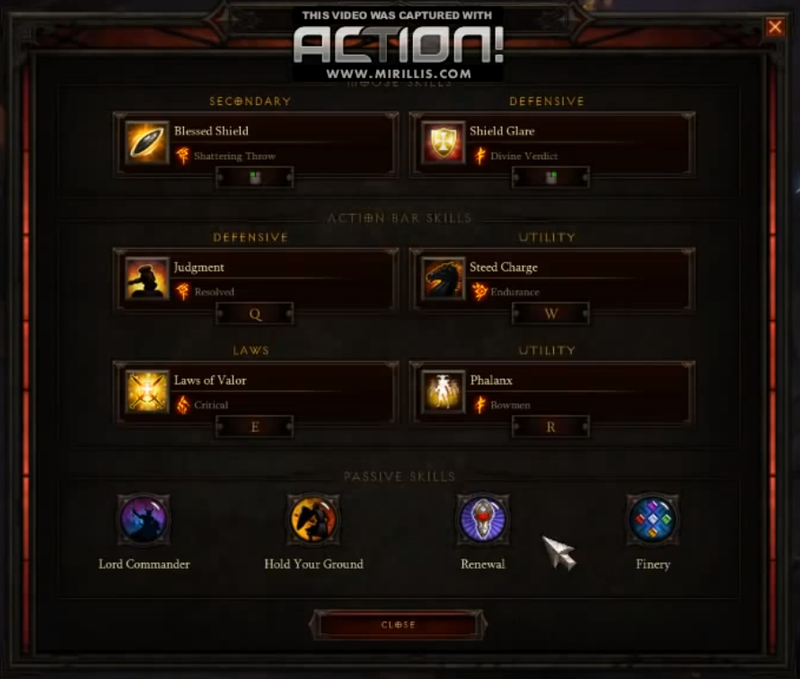 Here are the skills used on this Crusader build that allows you to farm Torment. Please note that you need decent gear also in order to survive and to bring down mobs efficiently. I hope you'll vind this Crusader build viable. Happy hunting!